1. Monoammonium Phosphate: Off-season export period is from May 16th to October 15th (5 months), export duty is 5%; peak season time is January 1 - May 15th, October 16th -12 On the 31st of the month (7 months), the tariff is 80% <or 75% + (1.05-base price / export price) * 100%>. The benchmark price is calculated at 3.2 yuan/kg (that is, the export base price is 3,200 yuan/ton). During off-season exports, when the FOB price is not higher than the benchmark price, the provisional tariff is 5%; when the export price is higher than the benchmark price, the provisional tariff rate = (1.05-base price / export price) * 100%. 2. Diammonium Phosphate: The off-season export period is from May 16th to October 15th (5 months), the export tariff is 5%; the peak season time is January 1 - May 15, October 16th -12 On the 31st of the month (7 months), the tariff is 80% <or 75% + (1.05-base price / export price) * 100%>. The benchmark price is calculated at 3.5 yuan/kg (that is, the export base price is 3500 yuan/ton). During off-season exports, when the FOB price is not higher than the benchmark price, the provisional tariff is 5%; when the export price is higher than the benchmark price, the provisional tariff rate = (1.05-base price / export price) * 100%. 3. Other superphosphates: 7% of provisional tariffs are levied throughout the year. 4. Heavy calcium superphosphate and other superphosphates: Off-season export period is from May 16th to October 15th (5 months), tentative tariff 5%; peak season (from January 1st to May 15th From October 16 to December 31, for a total of 7 months) The tariff is 75% special tariff + 5% tentative tariff = 80%. 6. 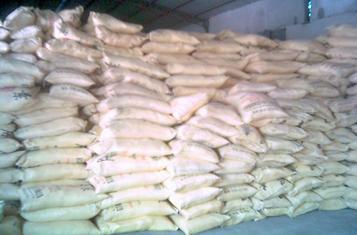 Other mineral fertilizers, chemical fertilizers and small packages containing N, P and N fertilizers (greater than 10 kg in gross weight) Fertilizer: Off-season export period from May 16 to October 15 (5 months), tentative tariff 5%; peak season (from January 1 to May 15 from October 16 to December 31 for a total of 7 months) The tariff is 75% special tariff + 5% tentative tariff = 80%. 7. Fertilizers containing two elements of phosphorus and potassium: 7% of provisional tariffs will be levied throughout the year. Ternary compound fertilizer: 75% special tariff + 5% tentative customs = 80% will be levied throughout the year.